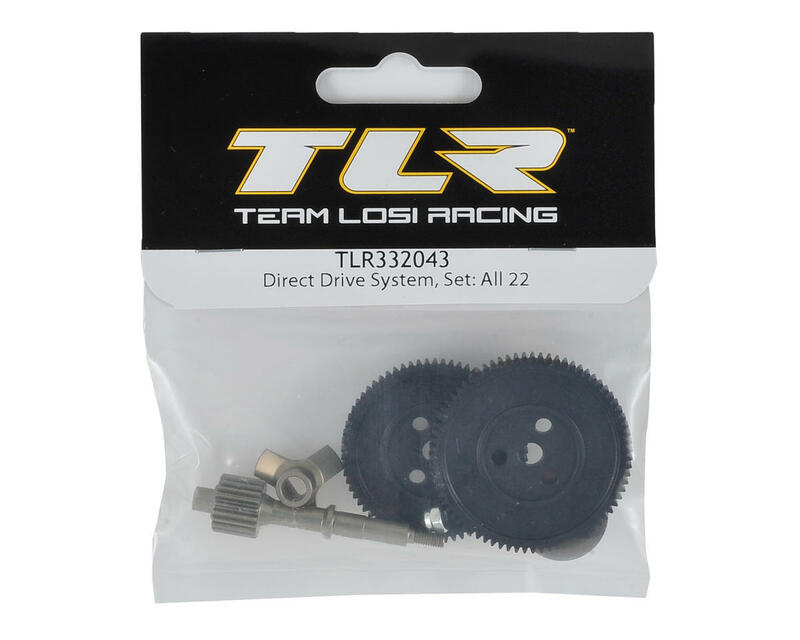 The Team Losi Racing 22 Series Direct Drive System was developed to provide 22 owners with a factory upgrade for their 17.5 spec class cars. 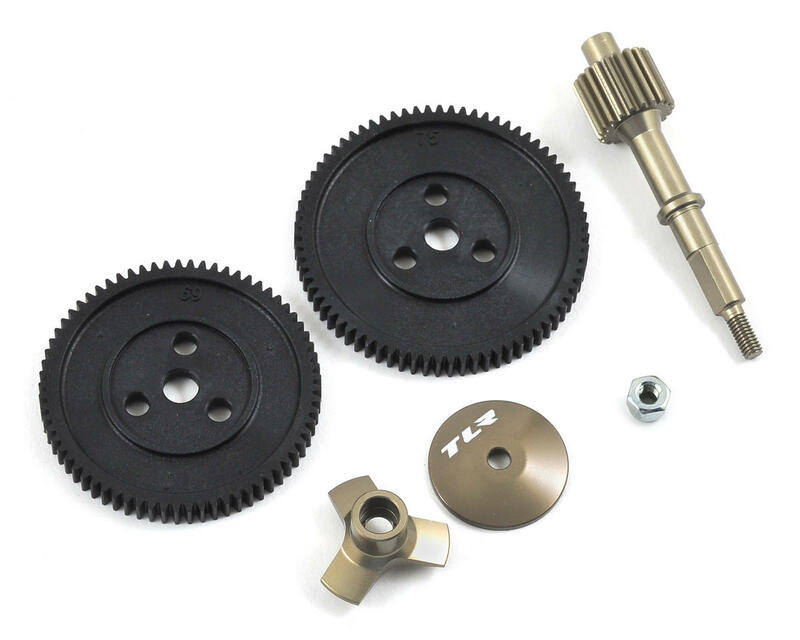 Eliminating the slipper assembly reduces rotating mass, providing the increased punch and acceleration that is a must have for 17.5 spec racing. NOTE: Use only for 17.5T Spec Motors. This is not designed to work with or recommended for 13.5T or modified motors. Good mod, but be sure to remove the red washer as it's not used with this kit - and the spur doesn't fit properly if the washer is still there/used. Doesn't transform it,s performance, but it all helps. Combined it with a 3-gear on my 22 1.0 - didn't notice too much of a difference but a good part of many tweaks.